Peace Hero Morgan Spurlock is hosting Geeks for Peace during San Diego’s Comic-Con to raise funds and awareness for Kids for Peace. 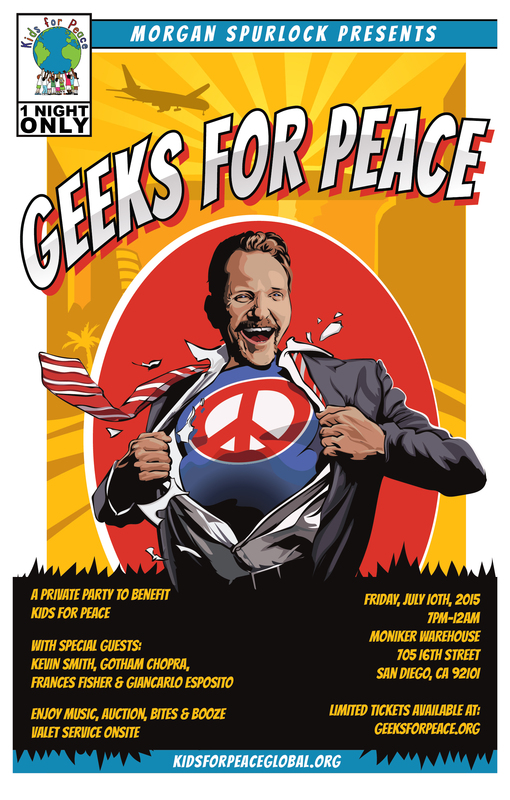 Geeks for Peace will be a dynamic evening of music, dancing, live art, silent auction, and organic food & drink. Funds raised will help Kids for Peace expand their programs to underserved youth in the U.S., Pakistan, Iraq, Liberia and Kenya. Geeks for Peace will help us get one step closer to a world of peace for all!